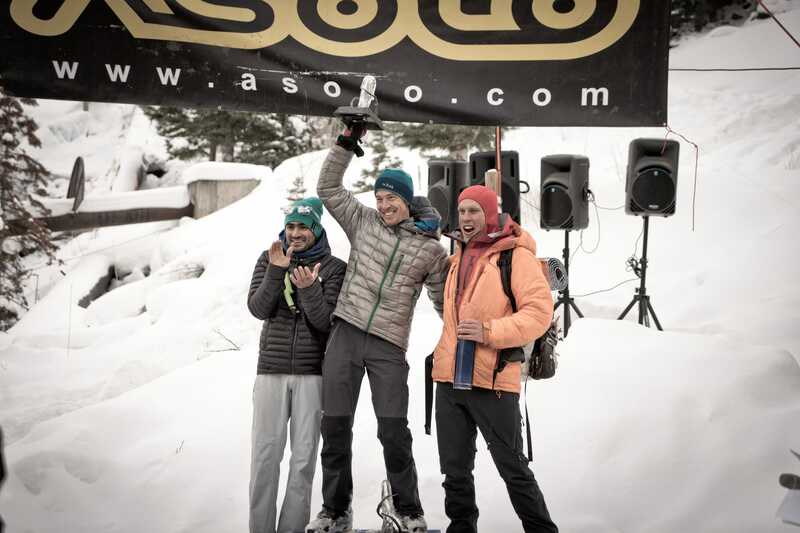 Re-mixed: Can Ryan Vachon Repeat at the Ouray Ice Fest Comp? For the 2016 Ouray Ice Festival Elite Mixed Climbing Competition winner, the secret to success was all in his head. We tapped him this week for training advice in the lead up to the 2017 event. What we ended up with was a peak into a philosophy that pays dividends in any outdoor pursuit. Truthfully, gear is only half of the equation—maybe less. If your mind isn’t at least as dialed as your pack and what’s in it, things can turn pretty quickly into an adventure in the not-so-great outdoors. And really, it’s about more than just mental toughness. Sure, gobbling up miles on a long-distance hike or bushwacking through untold miles of brush require a certain mettle, but you also have to know why your out there in the first place. For most of us, that’s an intensely personal thing. Feeling the wind in our hair in a place that’s far, far away from traffic noise and other human pollution is a start. But really, distilled down—all the way down—an ultralight experience is about pushing yourself, out of your comfort zone and into the unknown. Need proof? Hyperlite Mountain Gear ambassador Ryan Vachon stands as an example to us all. An elite climber with a penchant for near-impossible mixed routes, PhD, climate scientist, Emmy-nominated filmmaker, podcaster, educator and business owner, it could be said that Ryan has his house in order, especially when it comes to what’s going on upstairs. 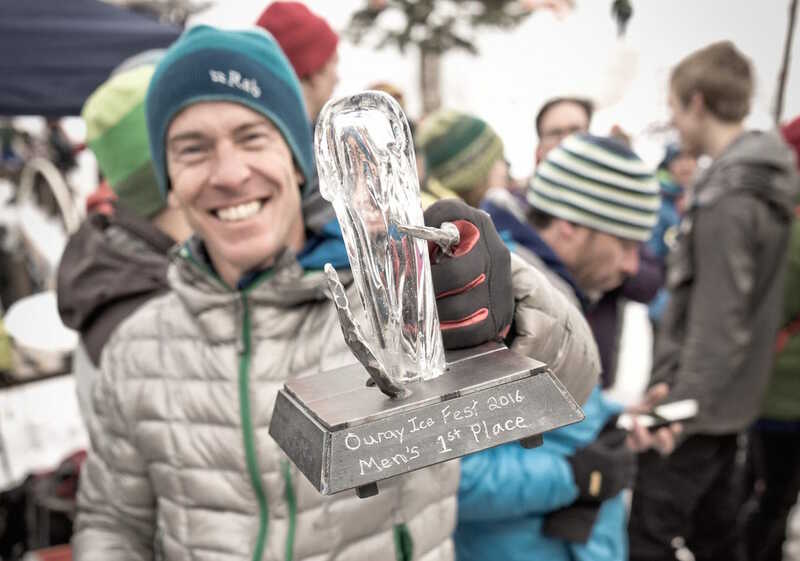 A year ago, Ryan surprised pretty much only himself when he handily won the elite mixed climbing competition at the 2016 Ouray Ice Festival. A self-proclaimed “nerd,” the intensity that drove his ascent up the walls of the Uncompahgre River gorge (he was the only competitor to top out) pervades his entire existence. And as diverse as his pursuits may be, to him life is all about a single and solitary focus: the pursuit of knowledge. Knowledge of the world, science, nature and most of all, knowledge of self. As evidenced by his subsequent second ascent of Saphira (M15-) in March 2016, which many consider to be the hardest mixed climb in the United States, he has the physical ability to compete at a very high level locked down. But he describes the act of achieving that level of focus outside of his comfort zone as a sort of next level mental barrier, a challenge unto itself. “Can you truly be yourself in front of people? That’s a huge experiment for me,” he says. Despite the fact that Ryan has been traveling to Ouray from his home in Boulder for the Ice Fest since around 2002 specifically to be enmeshed in a community that he loves, climbing there, in front of his friends, neighbors, colleagues and sponsors became a psychological crux. “I really, really love the people,” he relates. “But it’s a scary experience because climbing in front of them challenges me to do something I’m very uncomfortable with.” It wasn’t a matter of simply overcoming stage fright; he knew he’d have to get to a place where the fun of climbing could shine through. Some preliminary mental calisthenics, a good word or two from his partner, Susan Owen, and he was off. And in addition to a laser-focused training regiment, he mostly credits the win to his ability to cast off the layers of insecurity and ego and reconnect with the fundamental joy of hanging high above the ground with only his tools and his wits to rely on. 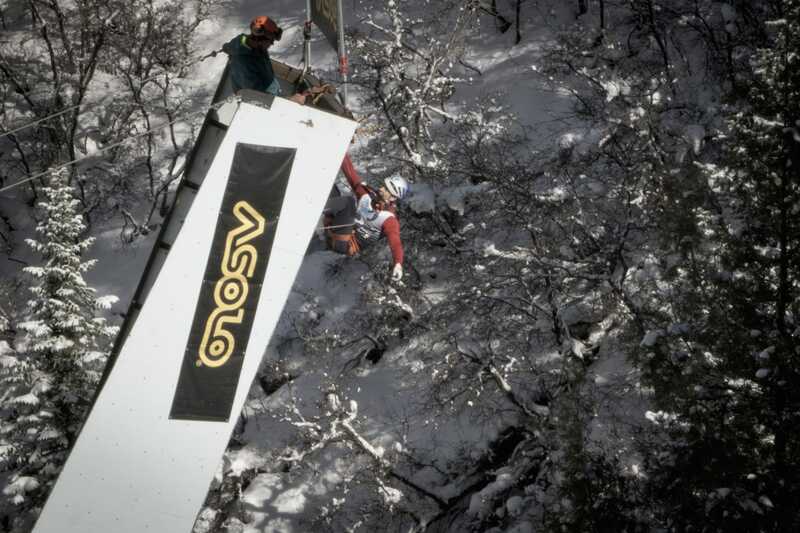 In the end, he pieced together a critical crack, topped out and won the day. And then set off down-canyon to find more ice to climb. When we gave Ryan a call at home this week during the build-up to the 2017 Ouray Ice Fest, we wanted to know what pretty much everybody else with a mind to put ax to ice want to know: was he feeling the heat on a repeat? Well, if you’ve read this far, you should probably have the sense by now that that’s a pretty stupid question. Still, for those of us who are similarly invested in reaching an apex or two of our own, it’s one worth asking. A simple idea, but one that cuts through the noise to be sure. If you’d like to know more about what’s going on inside Ryan Vachon’s head, (all delivered in his classic, self-deprecating style) we strongly recommend checking out his podcast: The Nerd Heard. Also, if you’re curious about how someone with what sounds like a more-than-full-time job manages to compete at such a high level, there’s a great episode of the TrainingBeta podcast with Neely Quinn featuring Ryan here. The insights about his physical and mental approach are worth an hour and three minutes of your time—whether you’re a climber, thru hiker or pretty much anything else. We also have it on good authority that Ryan will most-likely not turn down any high-fives extended his way next week at the 2017 Ouray Ice Fest. If you’re on the fence about making it this year, check out our rundown of the happenings, along with details on Hyperlite Mountain Gear-sponsored clinics, here. As usual, we’ll be there with Ice Packs to demo and maybe a cup of hot apple cider or two for cold climbers with frozen hands and feet. Come say hi! The post Re-mixed: Can Ryan Vachon Repeat at the Ouray Ice Fest Comp? appeared first on Hyperlite Mountain Gear Blog.